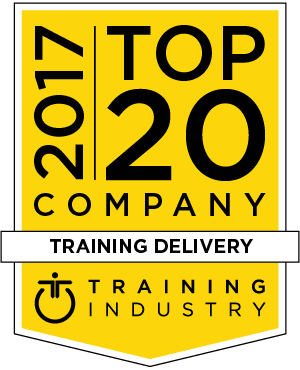 Training Industry continuously monitors the training marketplace looking for the best providers of services/technologies in support of corporate learning and development. This first annual list is designed to help buy-side organizations in their search for training delivery platforms. Bray Leino Learning is passionate about change and creating robust, modern learning cultures. Performance is vital to organizational success, and Bray Leino delivers full-circle learning solutions, including offering blended learning solutions with its vLearning Platform. Area9 Learning is a physician-led company whose adaptive learning platform takes a scientific approach. Its software knows how to measure the impact of training and dynamically reorient the learner when appropriate. Area9 relentlessly targets individual learning objectives, measures confidence, and improves the engagement and learning experience for each user. SwissVBS is a full-service digital learning design and production agency focused on providing value at every step of the learning journey. Its portfolio includes content, mobile reinforcement, sales enablement, strategy and design, and learning platform and hosting solutions. Zoom makes video and web conferencing frictionless. With a secure, easy platform for video and audio conferencing, messaging and webinars across mobile, desktop and room solutions, Zoom is a leader in modern enterprise video communications. Zoom Rooms is a software-based conference room solution used around the world in conference, huddle and training rooms as well as executive offices and classrooms. Inkling Knowledge makes it easy to deliver training and operational guides to field employees in an interactive, mobile-first format. Content creators can enhance content with interactivity, distribute with one click, and track and measure content effectiveness with embedded analytics. STRIVR Labs is a world leader in using virtual reality to train individuals and improve performance. The platform leverages immersive technologies to help individuals learn faster and more effectively, leading to better reaction time, pattern recognition and decision-making. Zoomi, Inc. is a learning analytics SaaS company that uses proprietary artificial intelligence (AI). Zoomi can integrate with the leading LMSs and wrap around content to provide advanced learning analytics. The proprietary AI analyzes cognitive, motivational, behavioral and performance data. Hurix is a leading digital content solutions provider to global educational publishers and institutions. Their product and service solutions allow clients to serve students of all ages and backgrounds by providing effective, compelling and engaging digital content across traditional and newer mobile platforms, formats and devices. G-Cube is an e-learning company with a global delivery and support footprint. Its product portfolio includes its cutting-edge WiZDOM Learning Suite. Content services include designing and developing custom e-courses, mobile learning, content localization, game-based learning, simulations, and consulting for curriculum design. ON24 is a global leader in webinar-based marketing solutions that drive demand generation and customer engagement. ON24’s solutions are integrated with leading CRM and marketing automation platforms, enabling marketers to optimize demand generation, enhance lead qualification and accelerate opportunities in their sales pipelines. Brainshark sales readiness software equips businesses with the training, coaching and content authoring capabilities. With Brainshark, companies can: prepare sales teams with on-demand training that accelerates onboarding and keeps reps up-to-speed; validate readiness with sales coaching; and empower sales organizations with rich, dynamic content. Cisco enables people to make powerful connections - whether in business, education, philanthropy, or creativity. Cisco hardware, software and service offerings are used to create the Internet solutions that make networks possible, providing easy access to information anywhere, at any time. Training Orchestra is the leader in Training Resource Management Systems (TRMS) in the cloud and dedicated to the entire training ecosystem. Training Orchestra helps users to drive their training activities, optimize scheduling, track budgets, enhance productivity and ensure employee satisfaction as well as customer loyalty. Administrate is a comprehensive training management solution delivered from the cloud. Its award-winning software includes everything organizations need to define, track and deliver training to its workforce, customers and partners. Scrimmage provides an innovative, all-in-one mobile platform to empower and engage learners and administrators alike. Scrimmage works closely with its clients to build a customized, highly responsive, scalable and secure platform for all content, along with a full suite of learning solutions, including gamification, social collaboration and robust data reporting. Arcusys is an international IT company specializing in the digitalization of learning that believes new learning methods combined with the right technology are the key to preparing for the future way of working. Its learning experience platform, Valamis, helps customers convert the benefits of the digital transformation into a competitive advantage. VitalSource® is a global leader in creating and securely delivering high-value content. VitalSource offers best-in-breed technology, enterprise-level scalability and industry-leading engagement analytics. Internal or external, VitalSource makes your flat-digital or print training manuals engaging, interactive, integrated, updatable and trackable. LogMeIn is a SaaS company that has capitalized on the modern way of working: flexible, dispersed, mobile, efficient and productive. Its easy-to-use products are adopted by professionals and leveraged by small- to medium-sized businesses the world over who are looking for increased insight into their customers’ journeys, simpler internal and external collaboration, and a more empowered workforce. Axonify is an Employee Knowledge Platform. It combines microlearning with innovative knowledge-on-demand capabilities and the entire experience is gamified, driving high levels of participation. Adobe’s tools and services enable customers to create digital content, deploy it across media and devices, and then measure and optimize it based on user data. By providing solutions combining digital media creation with data-driven marketing, Adobe helps businesses improve communications and strengthen their brands.